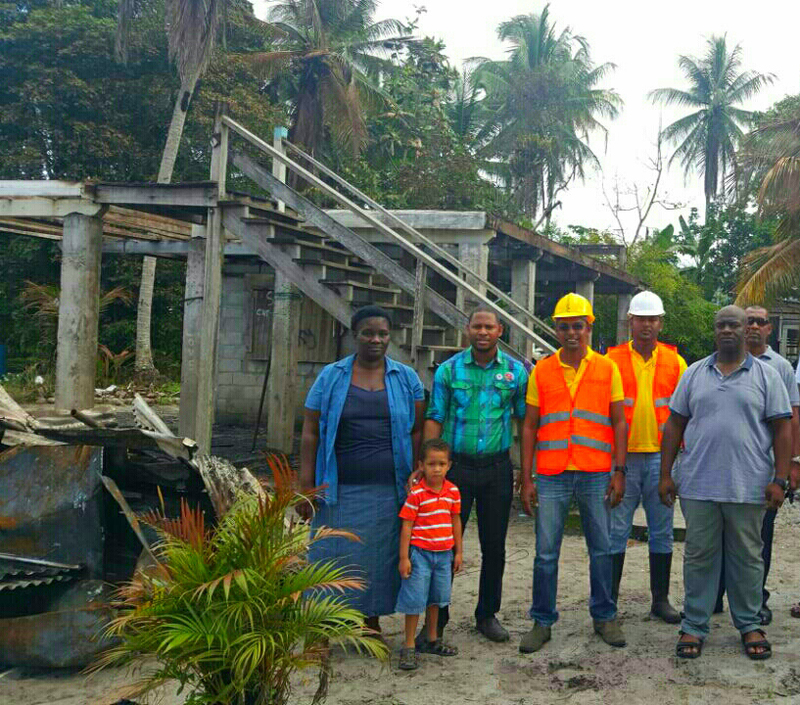 Two firms have pledged to rebuild the home of a Linden couple whose house was burnt down last Saturday. Chetram Brothers Sawmill and Zink Manufacturers have pledged to rebuild the home of Fredrick James and his wife and estimate that it will cost around $2 million. The house was gutted by a fire of unknown origin last Saturday. 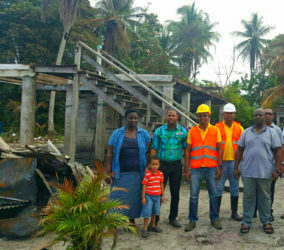 Fredrick James (second, right) with Amar Chetram and his brother (in construction vests), Vladimir Glasgow (second, left) and Mrs James (left) in front of the burnt house. “As business people we need to give back to a community in which we benefit from. We need to help people that are generally in need of help,” he added. 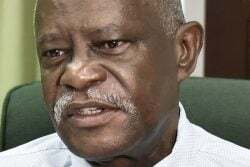 Executive member of the AFC, Vladimir Glasgow, commended the company for providing the assistance in such a timely manner. “I hope that many more of our businessmen and women will see this and take the opportunity to come on board to help out our fellow Lindeners whenever there is the need,” he said. “This is a project the Office of the Prime Minister fully endorsed. We ourselves are committed to assisting in whatever way that we can,” Glasgow added.